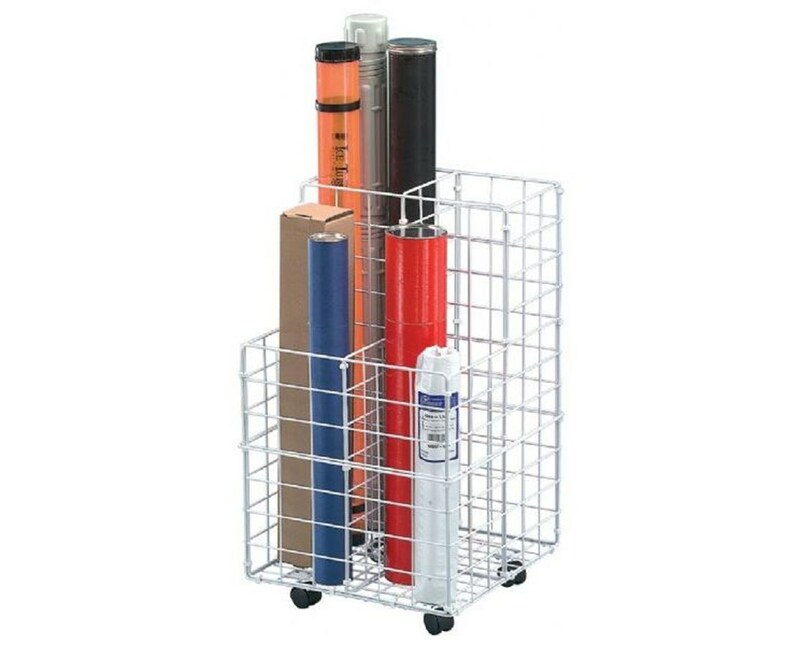 The Alvin White Wire Bin Roll File is a functional and mobile storage rack designed to accommodate large documents such as maps, blueprints, posters, and many others. 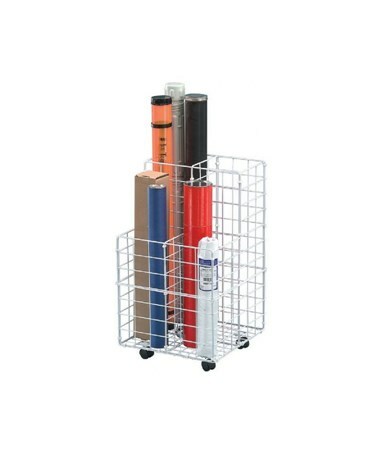 A convenient way of storing rolled files in various sizes, it features four 8"W x 8"L tube slots in two different heights. It also comes with a custom-fitted bottom dust protector to keep files clean. With its four swivel casters, it provides total mobility. The Alvin White Wire Bin Roll File measures 17"W x 17"L x 30"H. It is made of white plastic-coated heavy gauge steel rods to ensure durability and long-lasting performance. This heavy-duty organizer weighs ten pounds and requires simple assembly.